The district of Kendrapara came into existence on 1st April 1993 when it was carved out of erstwhile Cuttack district. The district, with its lush green patch of land crisscrossed by beautiful rivers and rivulets, presence of diverse flora and fauna, testifies on its own to its unique biodiversity. There are wild stretches of jungle along the seacoast, birds such as indigenous and migratory quails, hare and black partridge are to be seen in those jungles. 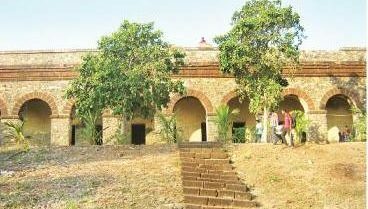 Mythology reveals that Lord Balram killed Kandrasura here, he then married Kandrasura’s daughter before settling here, since then the place has been known as Kendrapara. Located at coordinates 20 degree 20’ N to 20 degree 37’ N Latitude and 86 degree 14’ E to 87 degree 01’ E Longitude, the district is bounded by Bhadrak district in the north, Jagatsinghpur district in the south, Cuttack district on the west and the expansive Bay of Bengal on the east. Kendrapara is also a maritime district with the coastline of the district stretching for 48 KMs from Dhamra Muhan to Batighar. The district is also located on delta region of major river systems, as Mahanadi, Brahmani, Baitarani, Kharasota, Karandia, which have gifted the district with abundant deposits of alluvial soil. Along the coastline, there are marshy strips and innumerable winding creeks with mangrove forests of reed and bush wood on either side. The district covers a total area of 2644 Sq Km. With a total of 1579 villages, 9 Tehsils, 9 community development blocks, 230 Gram Panchayats, I Subdivision and 1 Municipality, the total population of the district is 14 Lakhs as per 2011 census. The district population is also a total of 3.43% of the state population. In the field of education, the district prides itself with a total of 57 colleges, 1430 primary schools, 305 secondary schools, most notably, the male and female literacy for this district have been estimated at 92% and 79% respectively. There are many important educational institutions, namely, Balia Women’s College, Kendrapara Law College, Chandol College, Derabish College, Kendrapara College, Marsaghai College, Tulsi Women’s College and Kendrapara Institute of Engineering and Technology. Agriculture is the main occupation of the people residing in the district, with more than 70% of the people dependent on it for their livelihood. Rice is the staple food crop grown in the district, while Jute is the main cash crop. The district is prone to natural cyclonic storms and annual average rainfall in the district is about 60 inches. 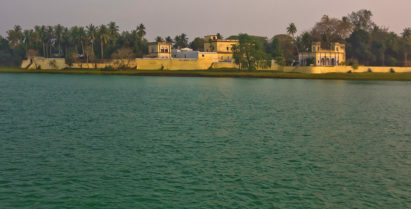 The district has an extensive canal system and Kendrapara canal, which originates from Birupa barrage at Jagatpur and ends at Luna in Marshaghai, was built in 1869. The economy of the district is primarily dependent upon cultivation and more than 75% of the population of the district earns livelihood from agriculture and allied activities. 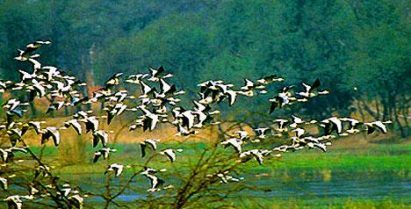 Bhitarkanika is a national park located in Kendrapara. The park encompasses the Bhitarkanika mangroves, a mangrove swamp which lies in the river delta of the Brahmani and Baitarani rivers. The national park is surrounded by the Bhitarkanika Wildlife Sanctuary. Gahirmatha Beach lies to the east, and separates the mangroves from the Bay of Bengal. The park is home to the endangered saltwater crocodile and many other species of flora and fuana. This beach is the world’s most important nesting site for Olive Ridley sea turtles. 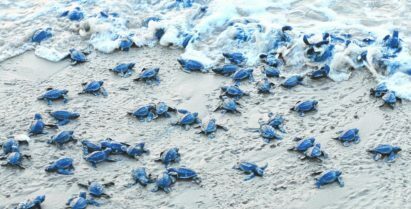 It is a part of the Gahirmatha Marine Wildlife Sanctuary, which also includes the adjacent portion of the Bay of Bengal. Lalitgiri, in Mahanga Tehsil of Cuttack district, is a Buddhist complex comprising major stupas and monasteries, and together with Ratnagiri and Udayagiri forms a part of the Buddhist circuit in Odisha. 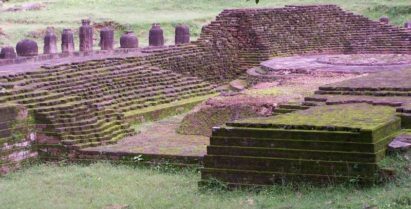 The ruins at Lalitagiri are notably from the oldest Buddhist settlement in Odisha. Major excavations carried out from 1985 to 1992 unearthed evidence of it being continuously occupied right from the post Mauryan period to 13th cent A.D without any break. 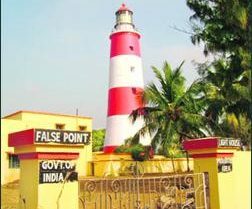 This is the first lighthouse installed on the eastern coast of India. It is around 45 km from the district HQ and situated in a village named Batighar, on the bank of the river Kharinasi, in Mahakalapada block. The area around the lighthouse was known as Kaudia Dwip and used as hunting grounds by the Kujanga Kings. Construction of this lighthouse was started on 6th December, 1836 and it was lighted on 16th October 1837. The stones used were transported from Barabati Fort, Cuttack. This lighthouse has been operational since the day it was first lit in 1937. It was once used as a storm-proof warehouse for the False Point Port. It was constructed in the Jamboo island by the British according to the wishes of Captain Harris. It consists of 11 large sized and 9 small sized chambers. The main attraction is the natural atmosphere and the past glory. This is a massive palace that was constructed by the King of Kanika, Rajendra Narayan Bhanja Deo. It was constructed on a area of 4 acres of land. 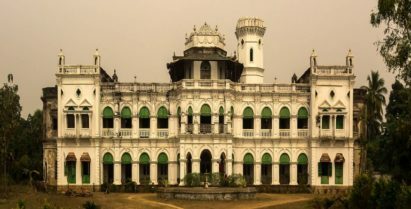 The palace is situated in the Rajkanika block of the district, around 50 km from the district HQ. This palace is situated near the Aul township. It is an ancient palace spread over 40 acres of land. Adjacent to a river, the palace was built in a serene atmosphere.